The First Lady of Texas welcomes attendees to the National Main Street Now conference in Dallas, May 2020. 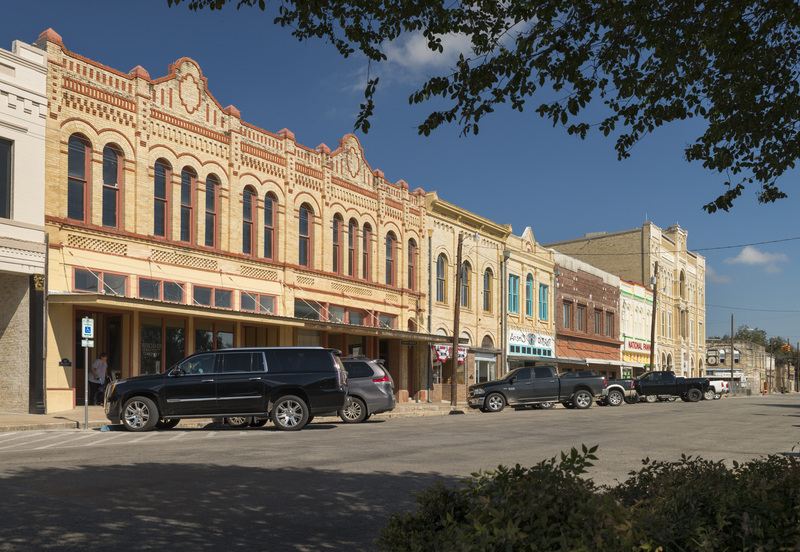 The national Main Street revitalization effort for historic downtowns was formed more than 35 years ago, and there has been a statewide Texas program since that time operating through the Texas Historical Commission. The Texas Main Street Program (TMSP) is one of the oldest and largest in the nation, with 90 fully designated communities. The program was brought to Texas by Anice Read, a former member of the Texas Historical Commission, who also served as first director of the state Main Street effort in 1981. The mission of the TMSP is "to provide technical expertise, resources and support for Texas communities in the preservation and revitalization of historic downtowns and commercial neighborhood districts in accord with the National Main Street Four Point Approach® of organization, economic vitality, design and promotion." At the TMSP, staff work on a daily basis with our 90 designated communities to help them reach their revitalization and preservation goals through the framework of the Approach®. This methodology provides the necessary tools for local communities to effectively address the issues downtowns face. The TMSP is part of the Community Heritage Development Division of the Texas Historical Commission and operates in affiliation with the National Main Street Center, a subsidiary of the National Trust for Historic Preservation. In 1981, following a pilot project of the national center that studied ways to address the decline of America's downtowns, the TMSP became one of the first six statewide coordinating programs in the nation. A new set of videos from Main Street America shows the power of Main Street’s potential: to revive local economies, bring communities together, and forge the future for cities and towns across the country. The videos feature scenes from Main Streets across the country, as well as insight from experts and practitioners. We invite you to view the video below. Congratulations to Beth Duke the Center City Executive Director who was awarded the Anice B. Read Award of Excellence in Community Heritage Development, at the Texas Historical Commission’s Preservation Awards Ceremony during the 2019 Real Places Conference in Austin. The Application to become a designated Main Street community is now available. Applications are due July 31, 2019 for official entrance January 1, 2020. An optional Intent to Apply letter is due April 30, 2019. More information at the Becoming a Main Street Community page of this website.